This post contains affiliate links, ordering from these helps my blog grow and thrive! I've been making my own soap for a few years now, usually just basic recipes, but I've even used the plain base I buy at hobby stores. But today I'm bringing you a nice, yummy smelling soap! 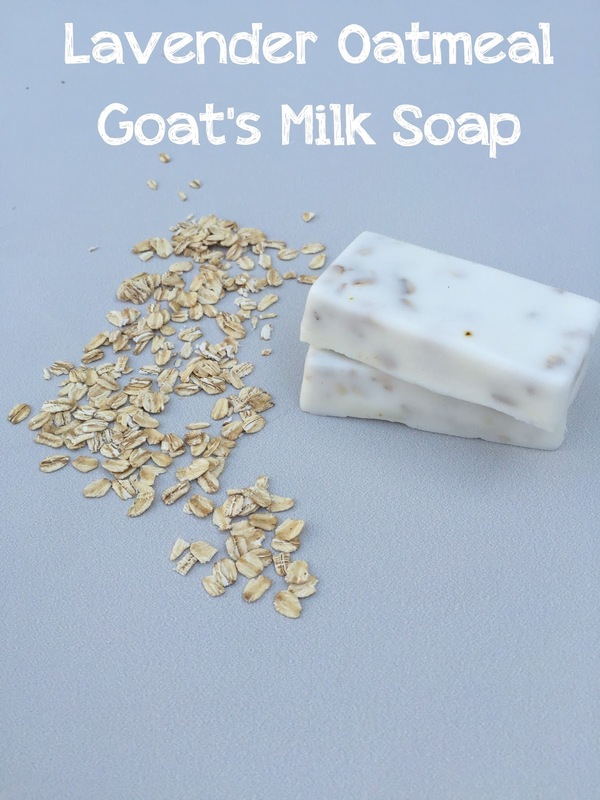 Making this Lavender Oatmeal Goat's Milk Soap, is incredibly easy! You need just 3 ingredients! I used a Goat's Milk Base from Hobby Lobby, Lavender Essential Oil and Whole Rolled Oats. Since I recently made soap, I cut this recipe in half to only make 2 bars, but directions below are for 4 bars of soap. -Cut your soap into small chunks (it already has cut lines on it to make it easy), and melt in a microwave safe bowl, melt in 20 second increments, stirring in between, until fully melted. -Quickly add in your oil and oatmeal and stir to combine. -Pour into a mold, I prefer silicone, but the plastic ones at the hobby stores work fine as well. -Wait to cool (about 40 minutes at room temp) and then pop out of mold. This can easily be made with any other soap base as well, I just prefer the goat's milk or shea butter is awesome too! I have been wanting to make soap. I like the directions for this one easy!